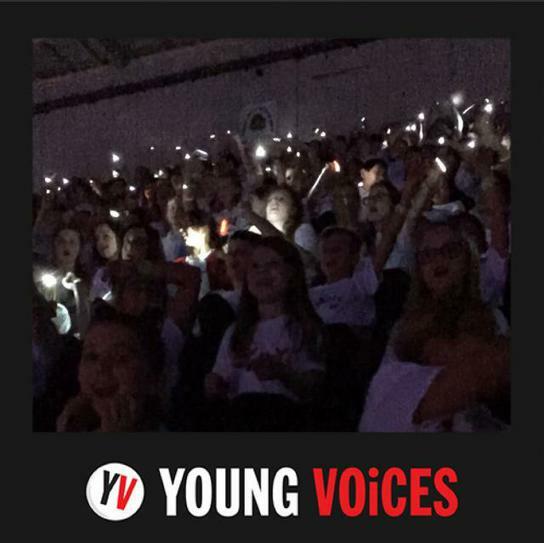 We have a large choir again this year, and we are having a great time getting ready for Christmas and Young Voices in January. 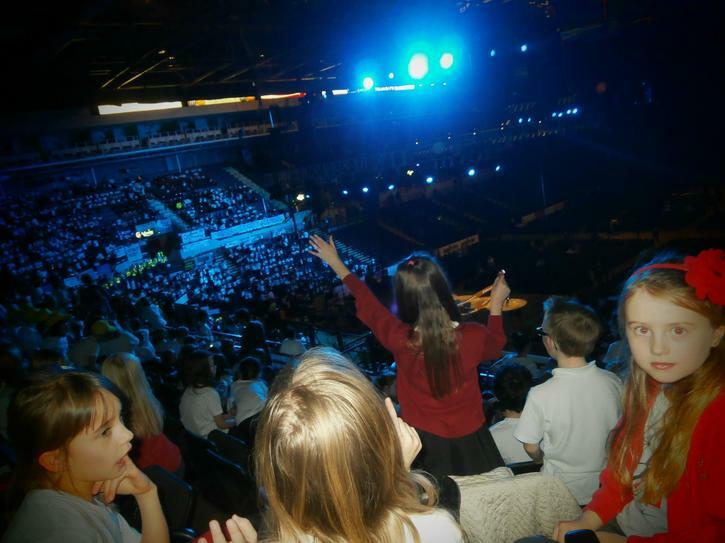 They sing beautifully and enthusiastically; they are such a delight to lead. 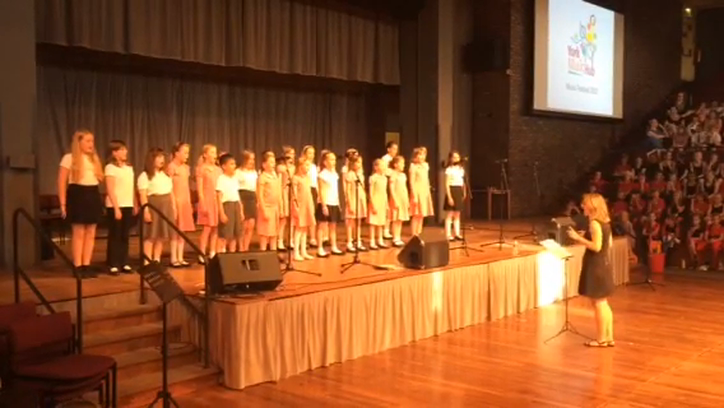 I look forward to you hearing them later this year. 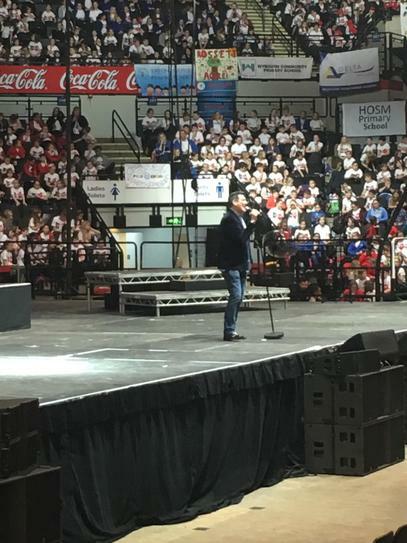 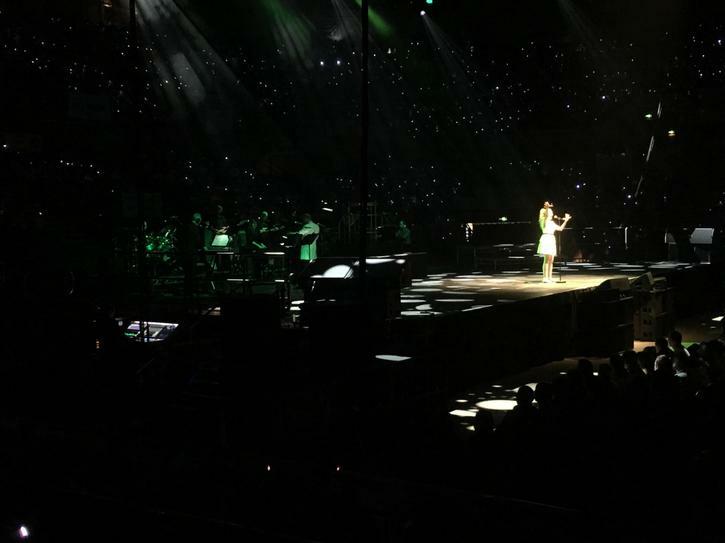 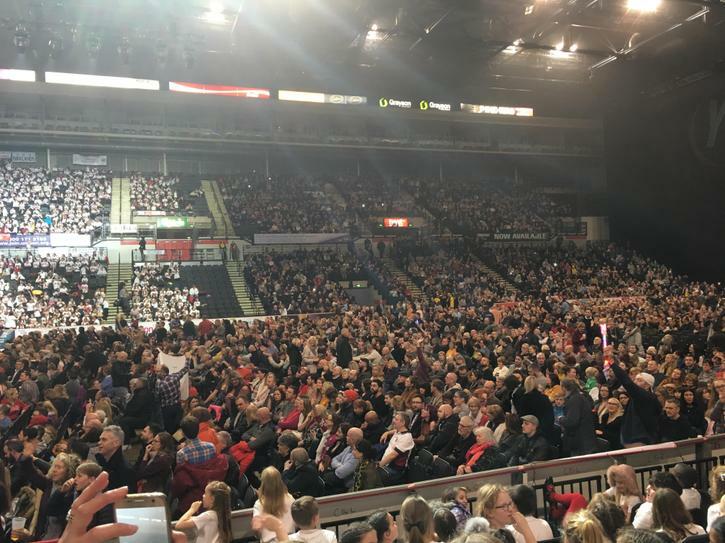 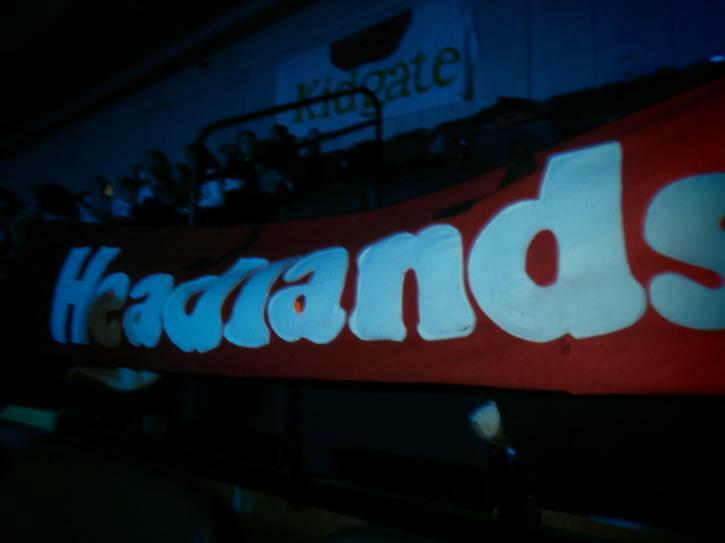 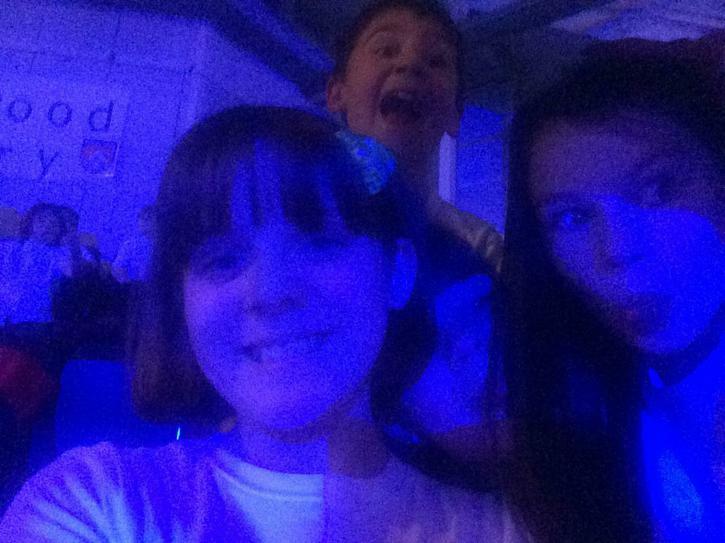 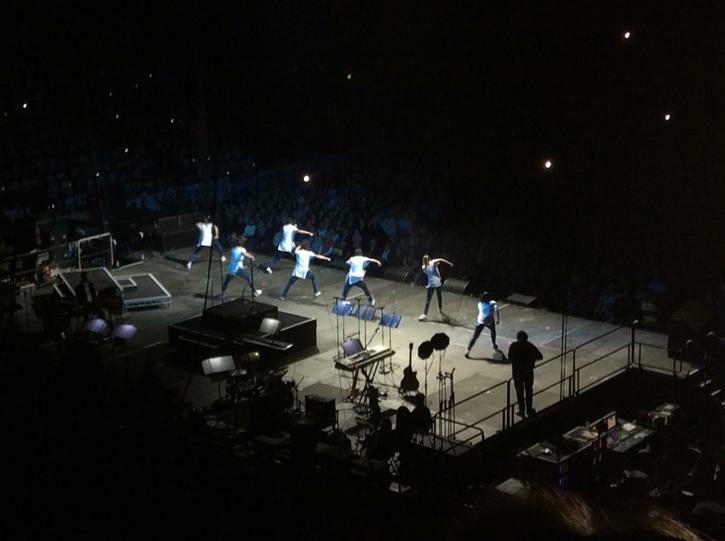 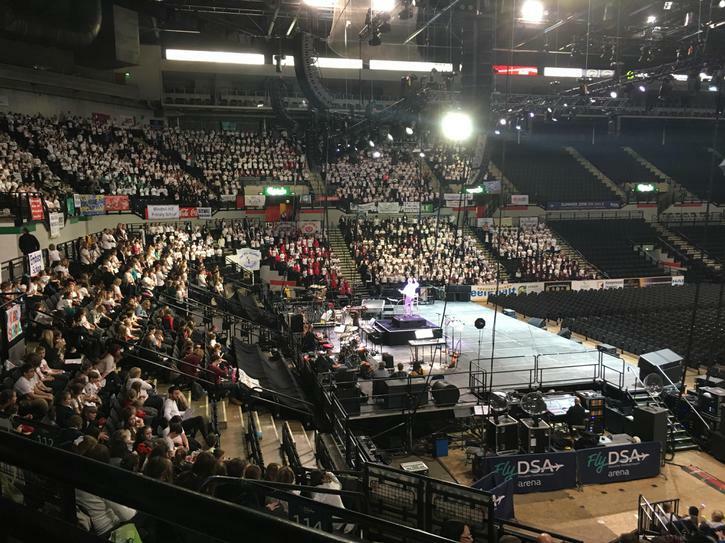 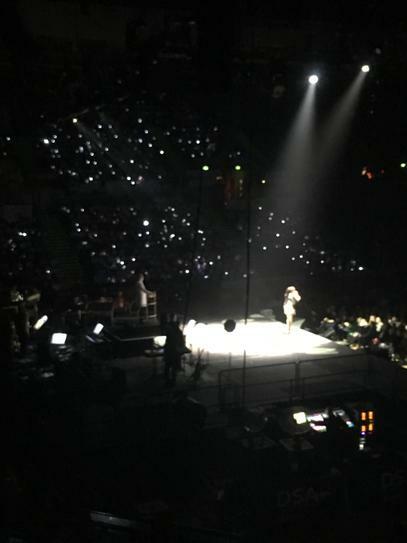 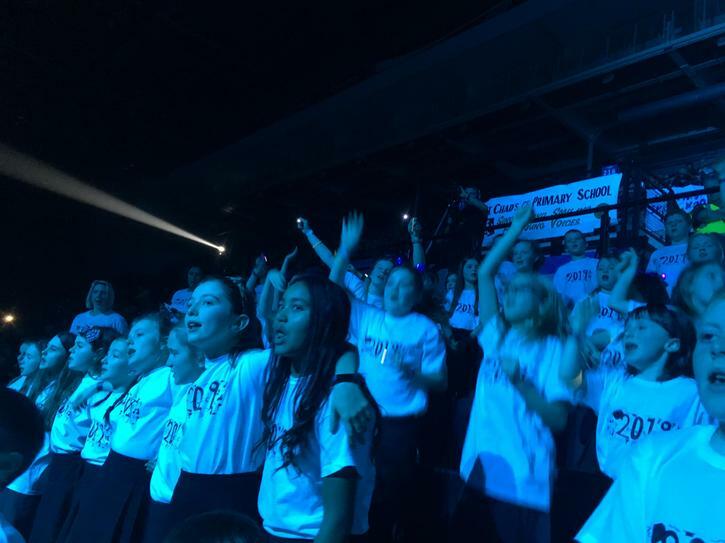 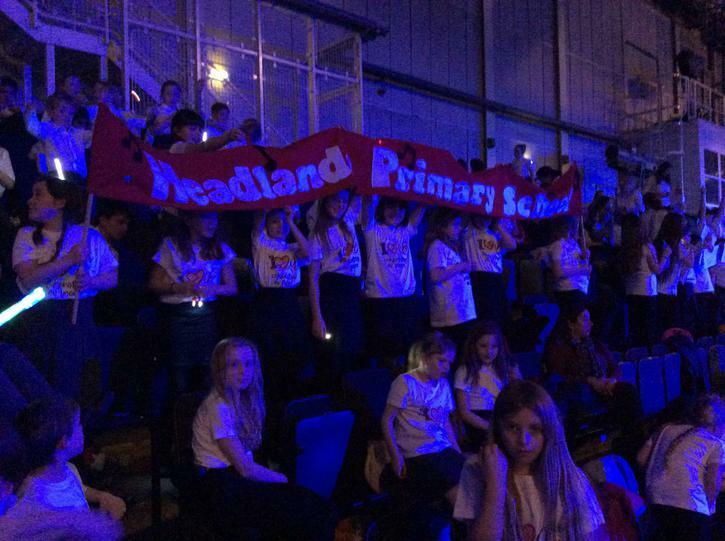 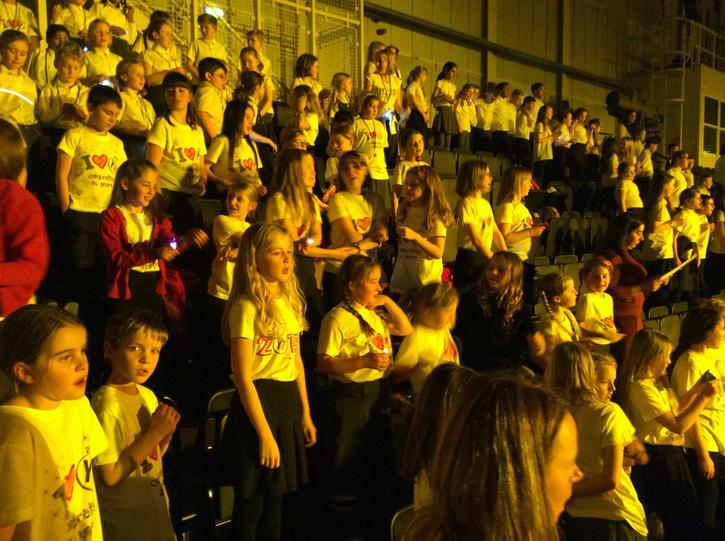 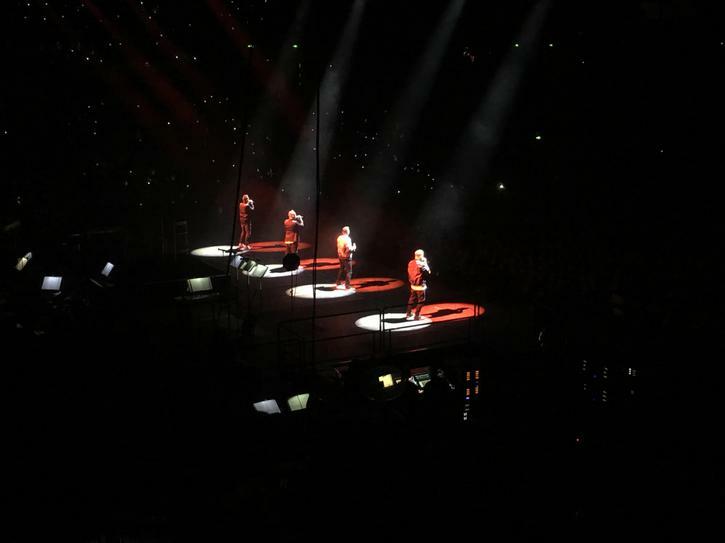 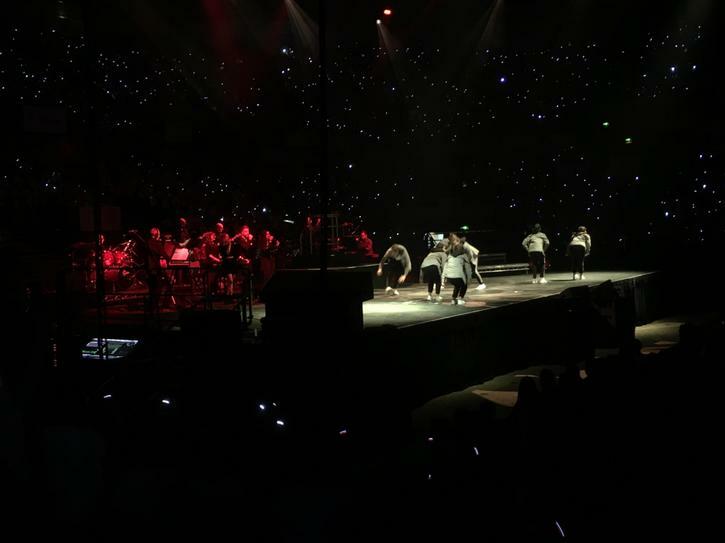 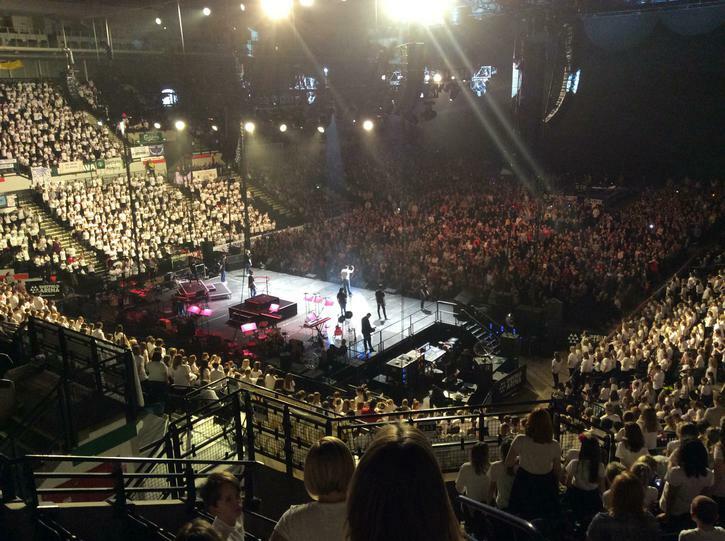 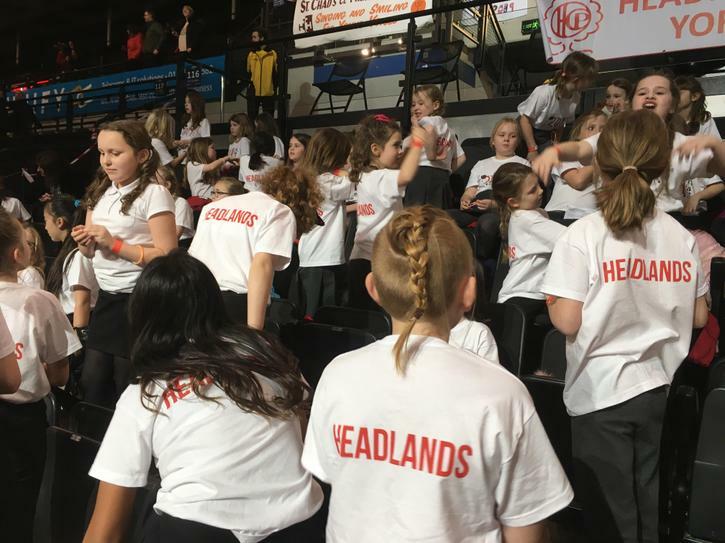 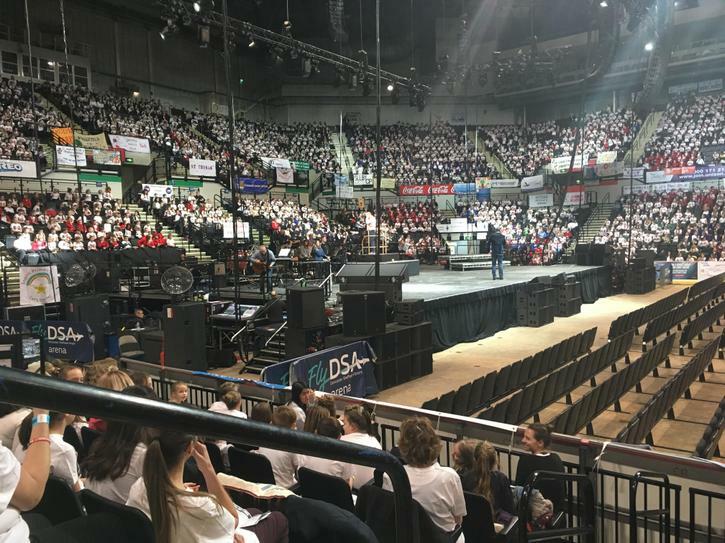 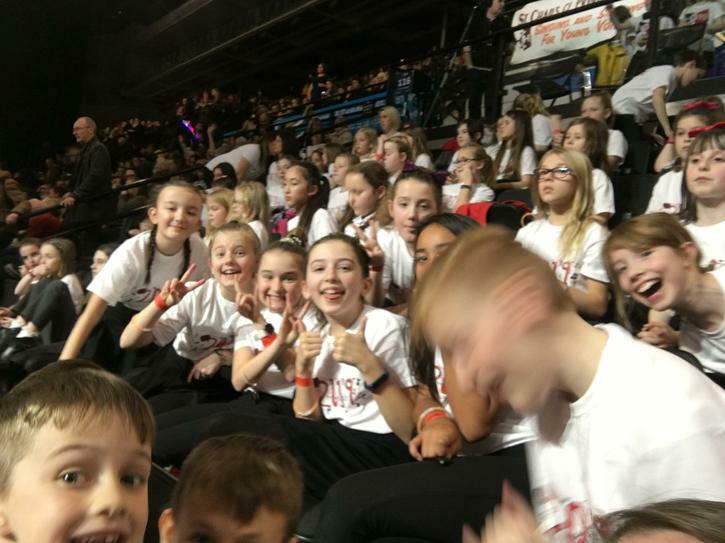 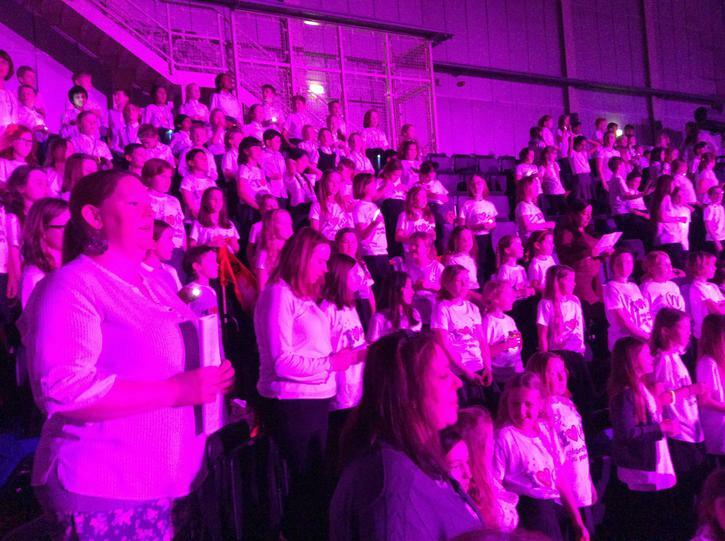 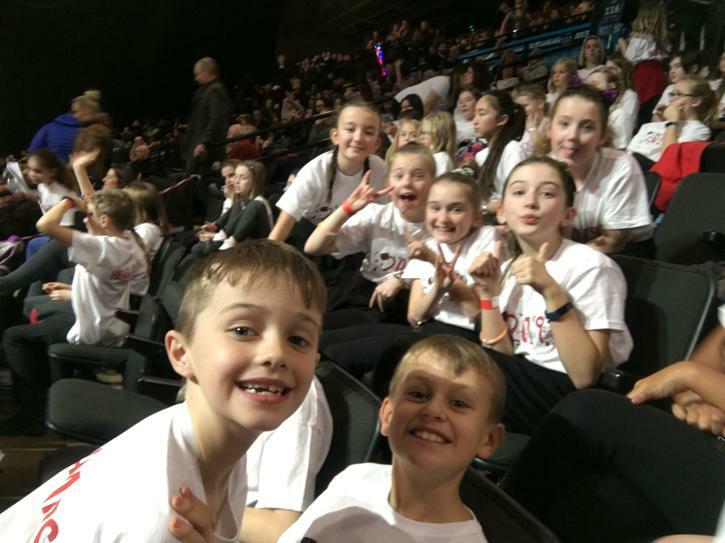 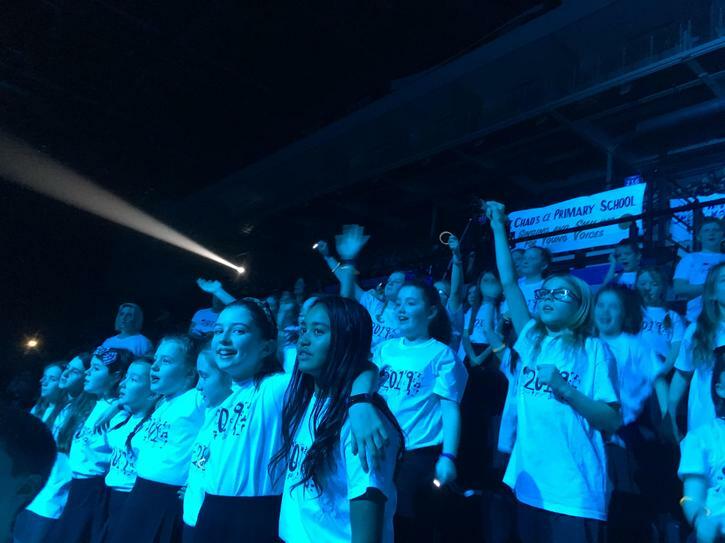 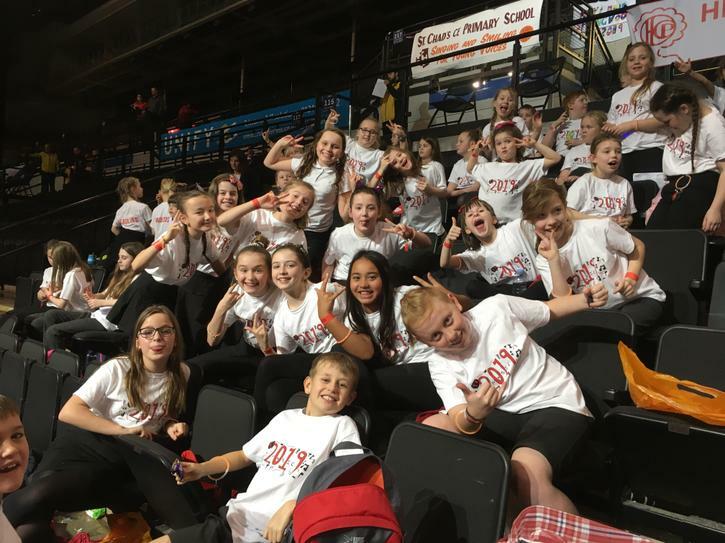 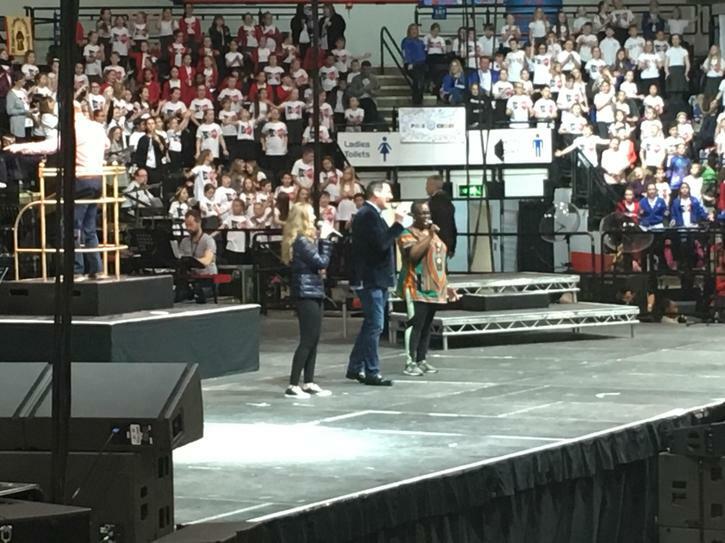 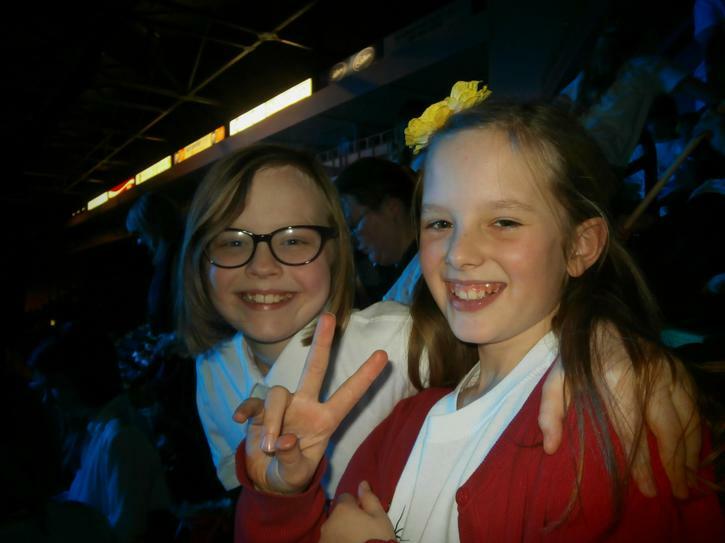 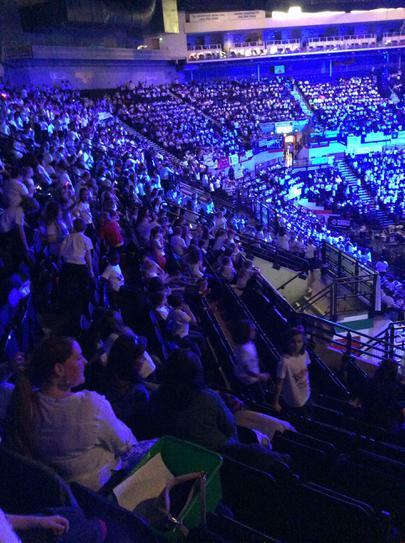 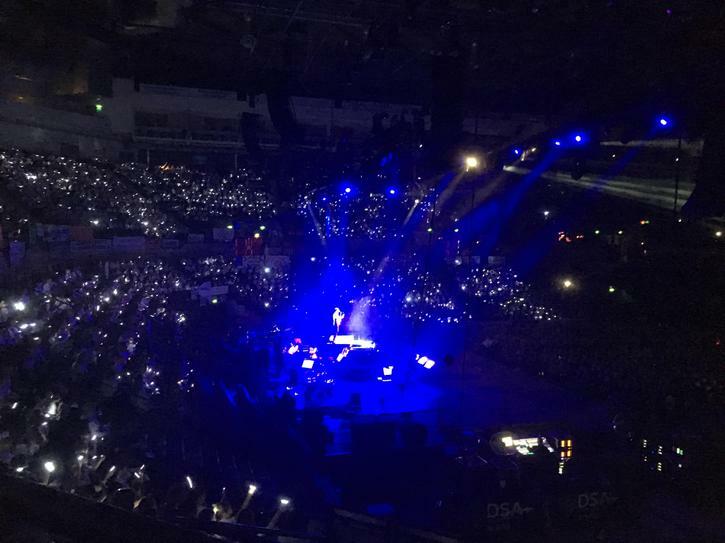 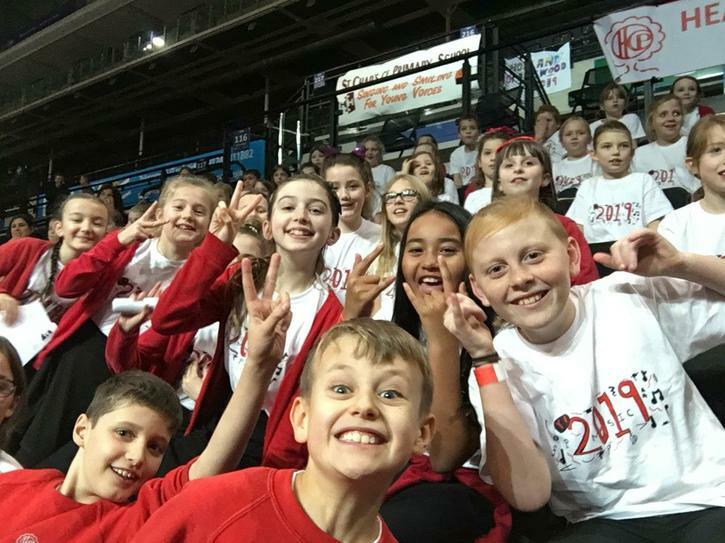 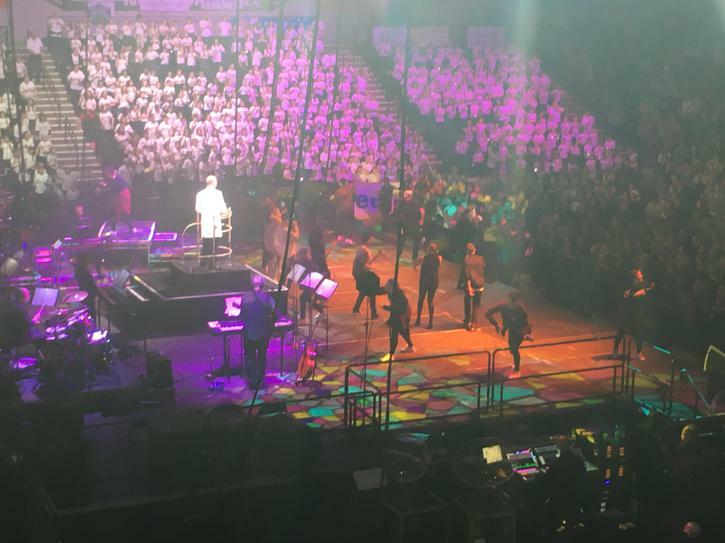 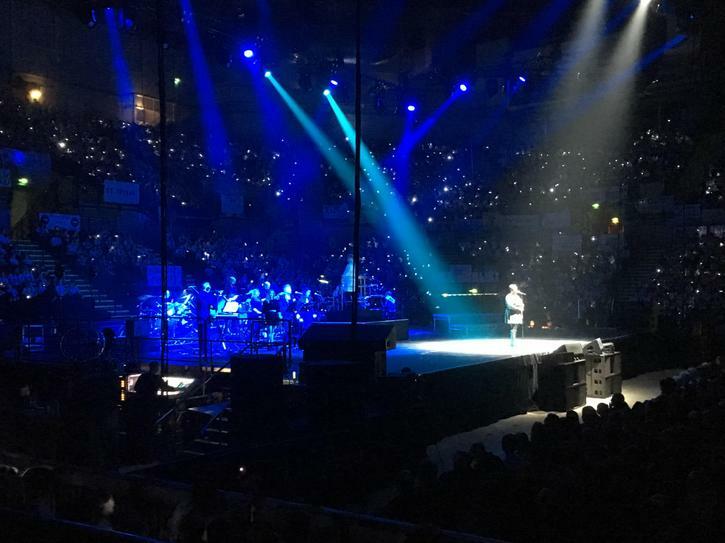 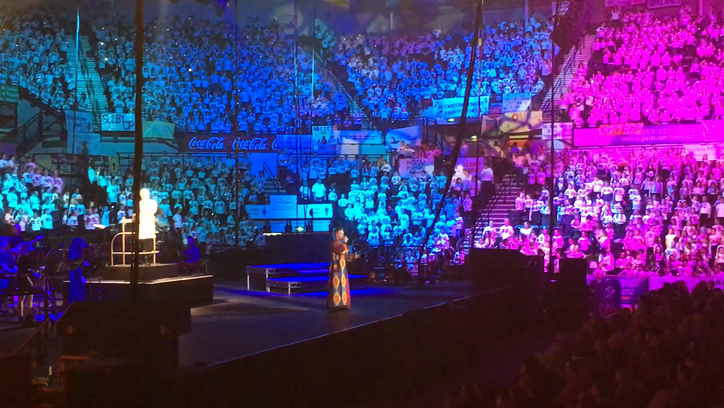 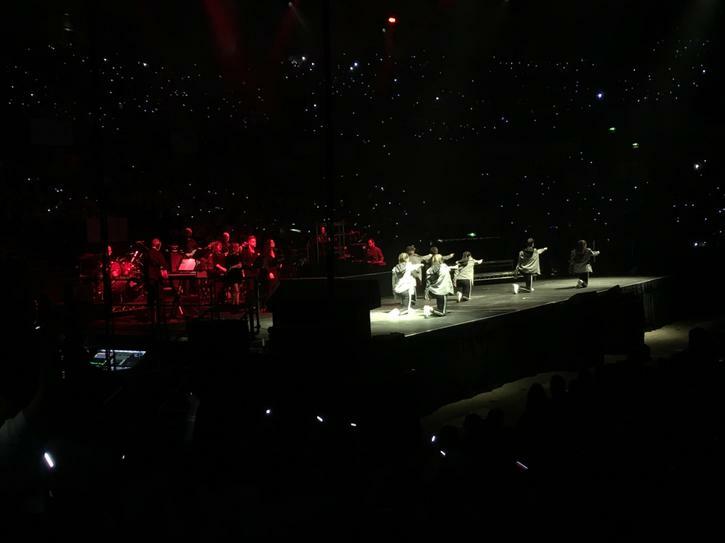 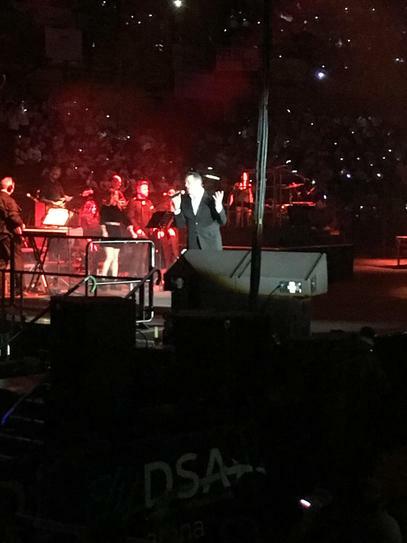 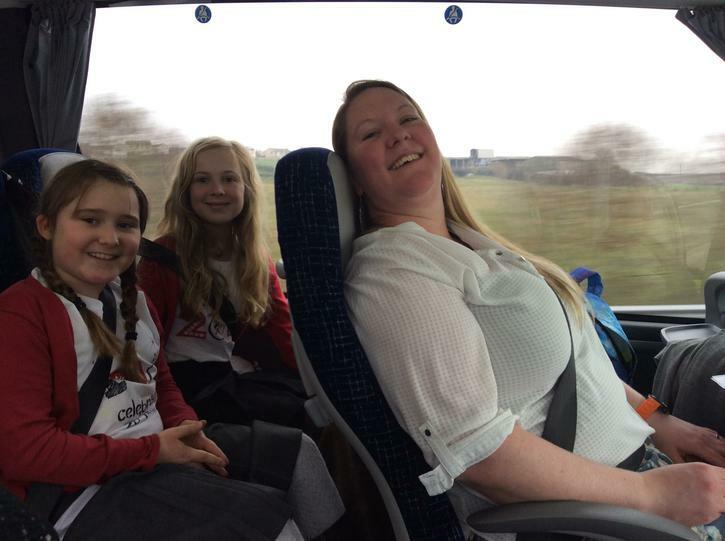 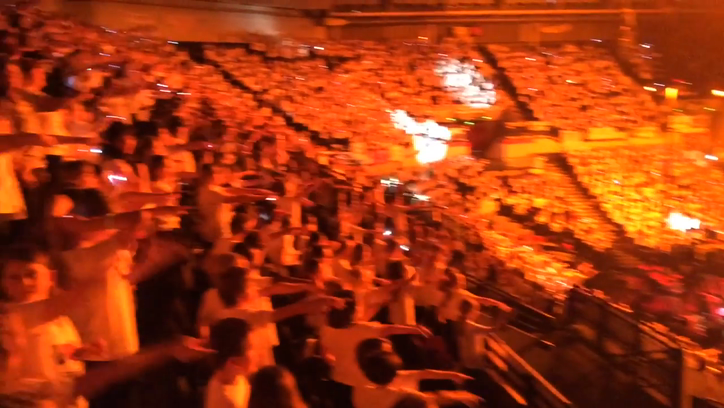 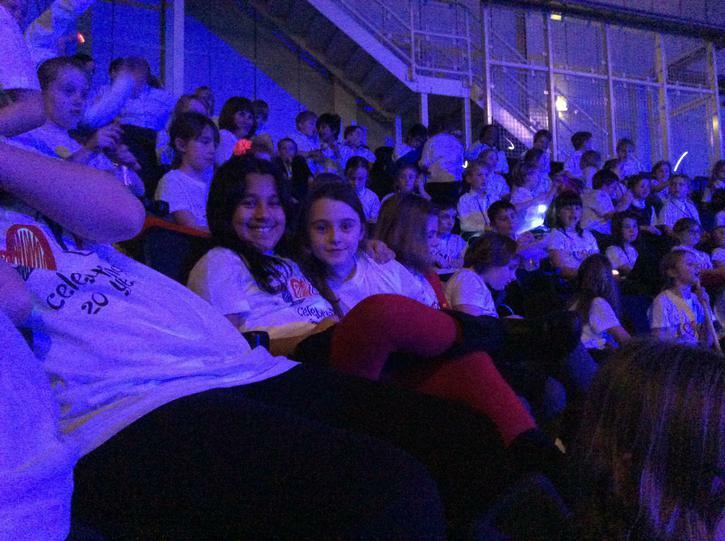 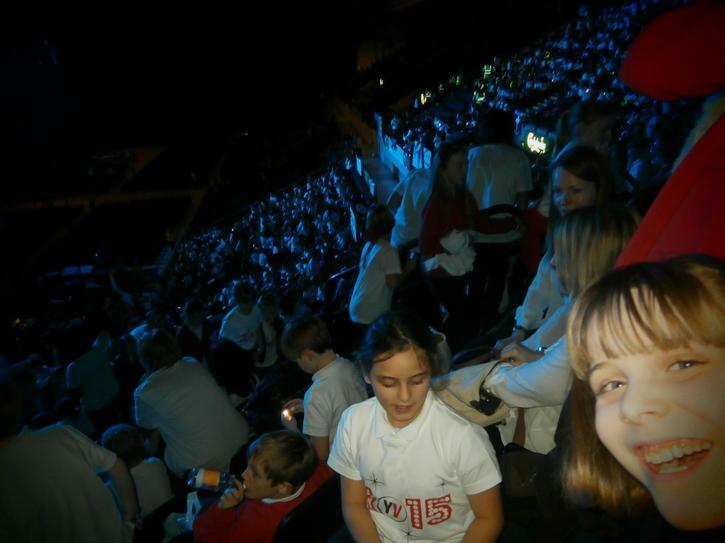 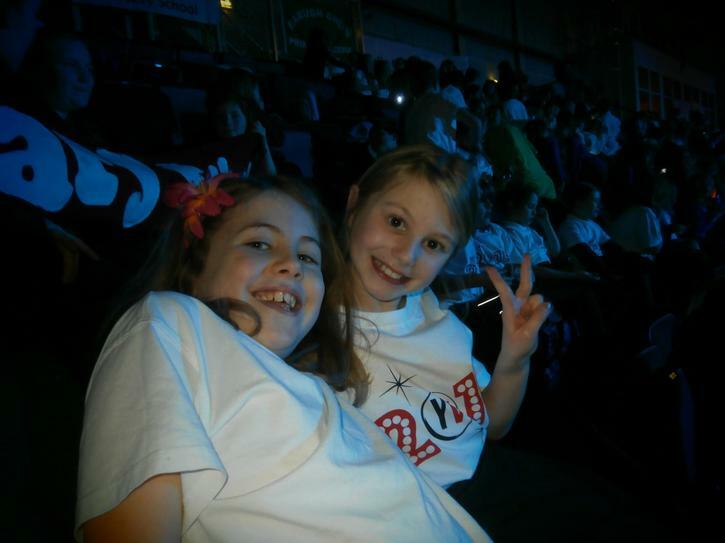 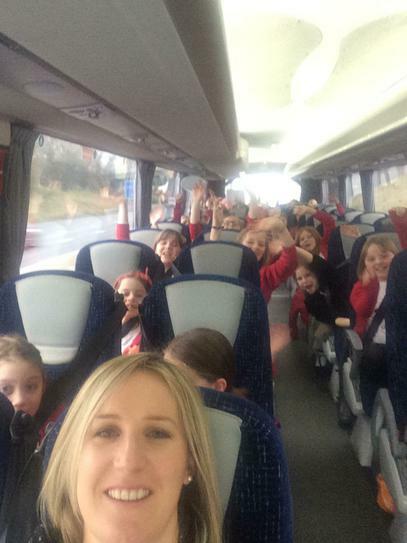 Choir spent the day at Sheffield Arena on 11th January singing their hearts out, dancing like crazy and basically having a great time at the young Voices concert. 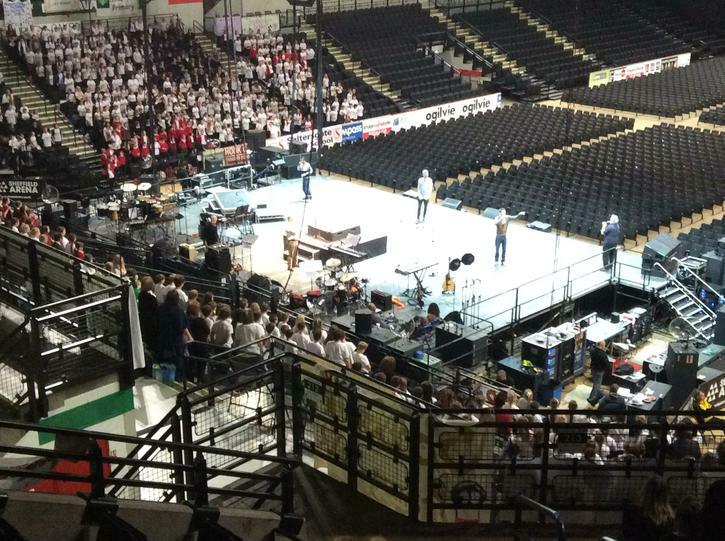 check out some of the photos and videos from the day below. 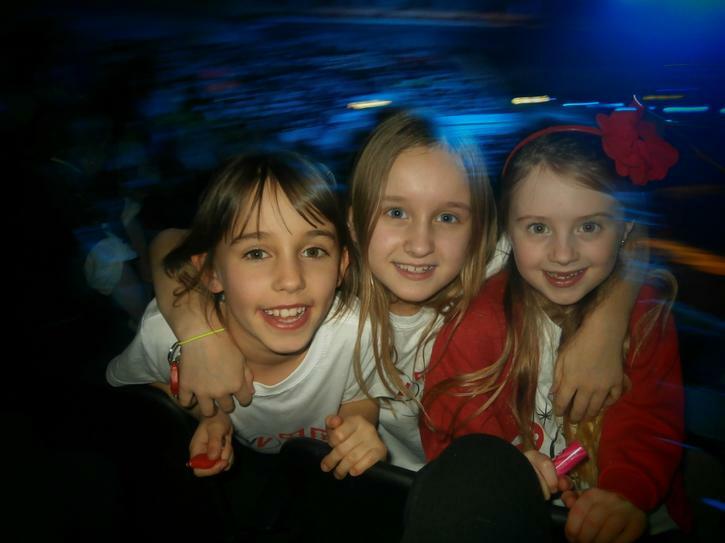 If parents have more photos that I can add to the gallery, please email them to me and I'll put them up. 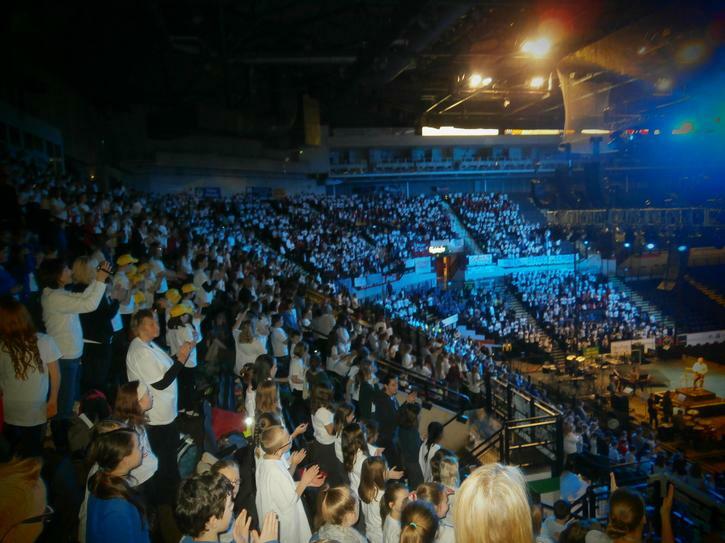 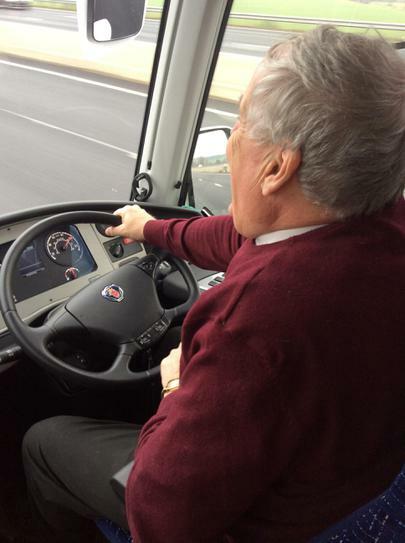 This is the version that we will be singing with: practise singing the lyrics against this one. 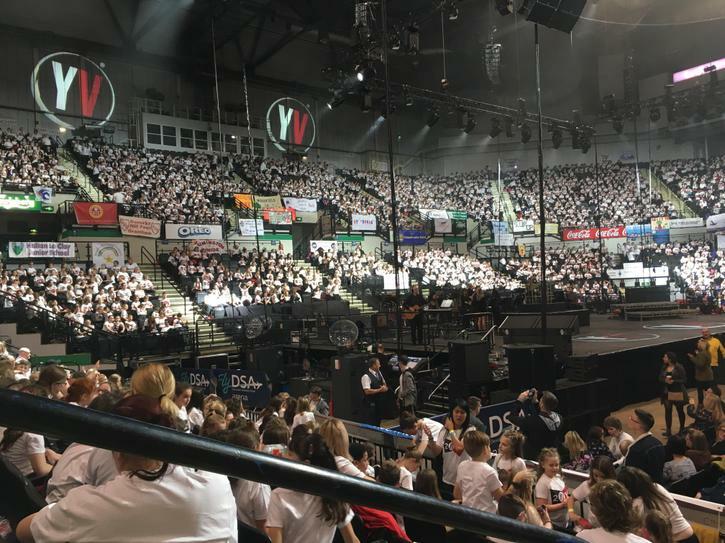 Today was Young Voices 2018... and we had a blast! 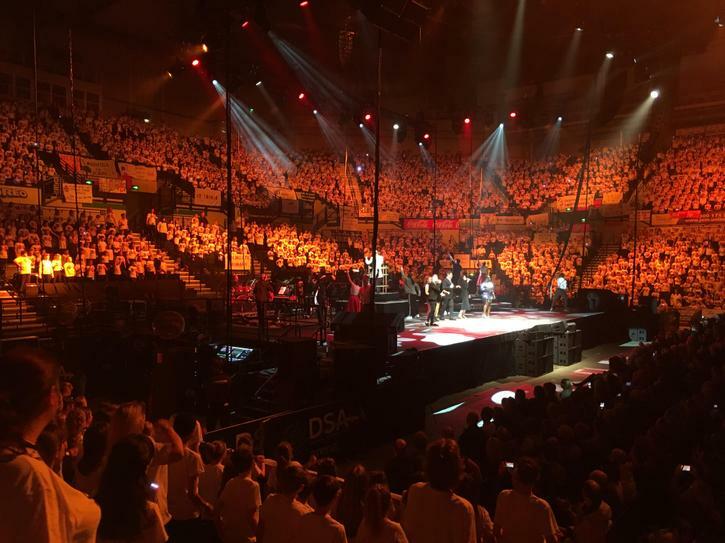 We love singing songs with thousands of other children from across the country; there have been some cracking ones to learn this year. 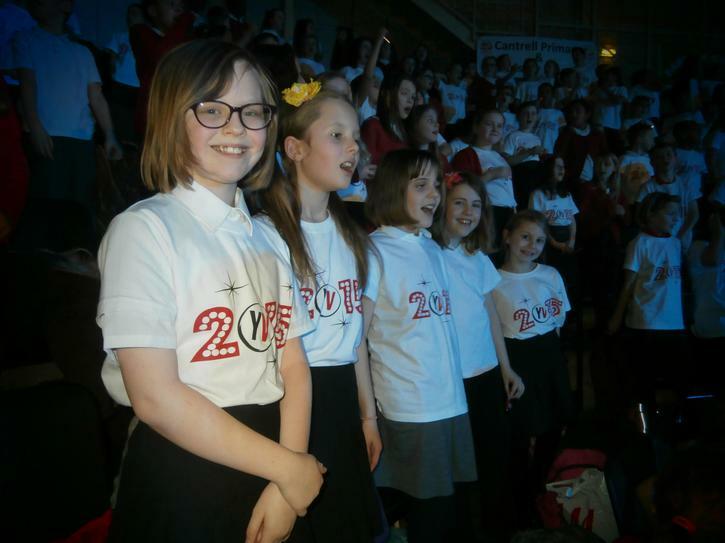 Below are some very happy pictures of this year's choir! 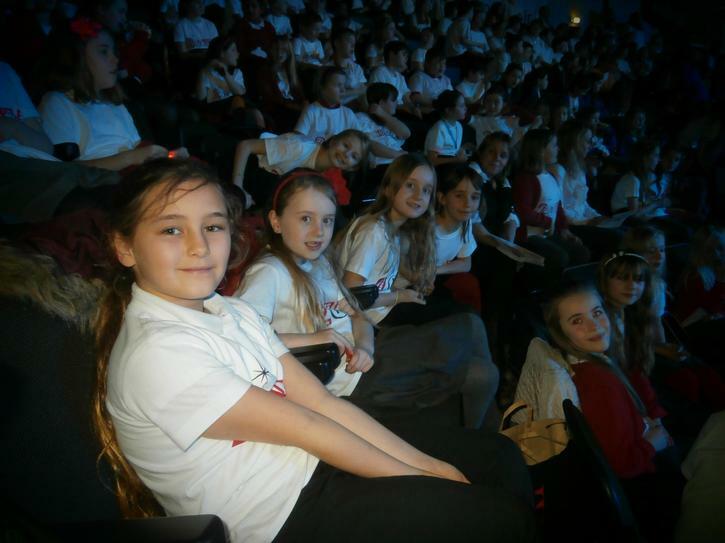 Thank you so much to Headlands PTA who spent some money buying us a brand new set of books with CDs and DVDs, which you can see in the photographs. 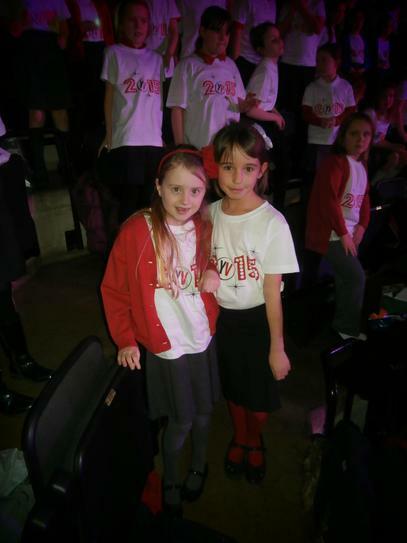 The songs are excellent and we are enjoying learning new songs every week! 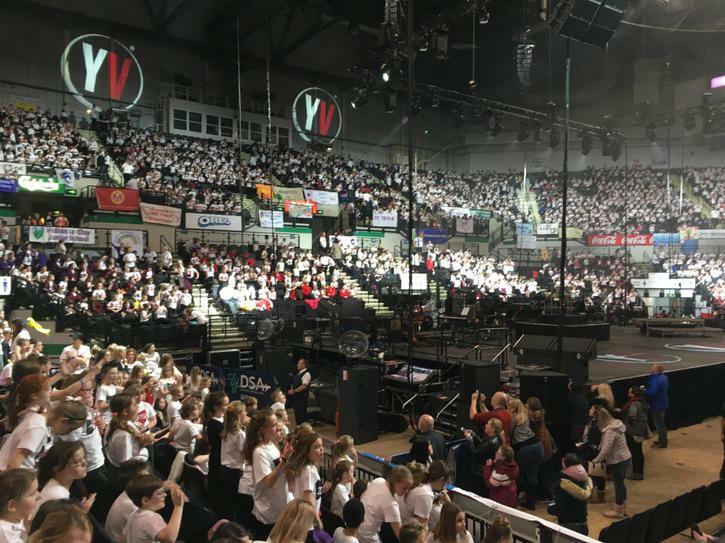 Below are the songs for Young Voices, which will be on Thursday 12th January 2017. 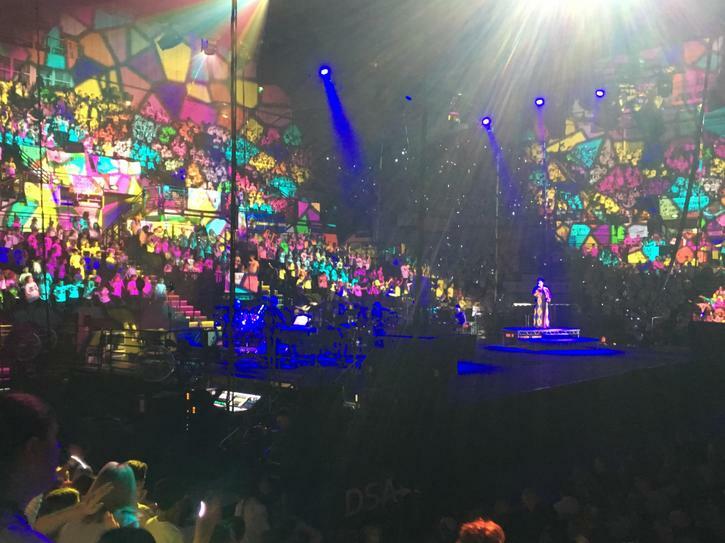 I've posted the lyrics and the vocal track for each song. 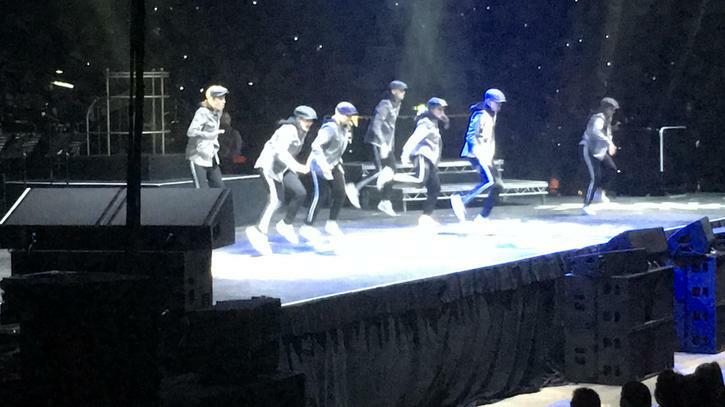 I have added links to all the dance videos so you can get some last-minute cramming in! 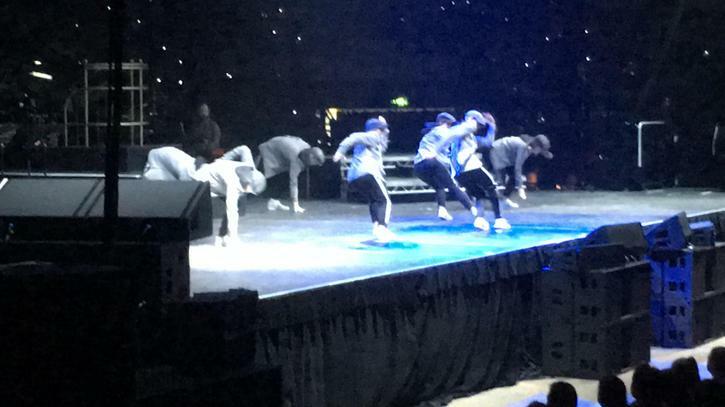 Try to get familiar with all the moves, even if you don't know them all off by heart; it will help on the night! 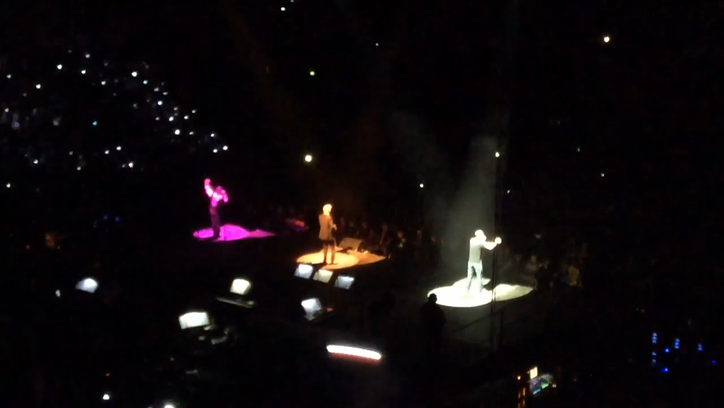 JT Remix Remeber, your parents are going to be doing this one too! 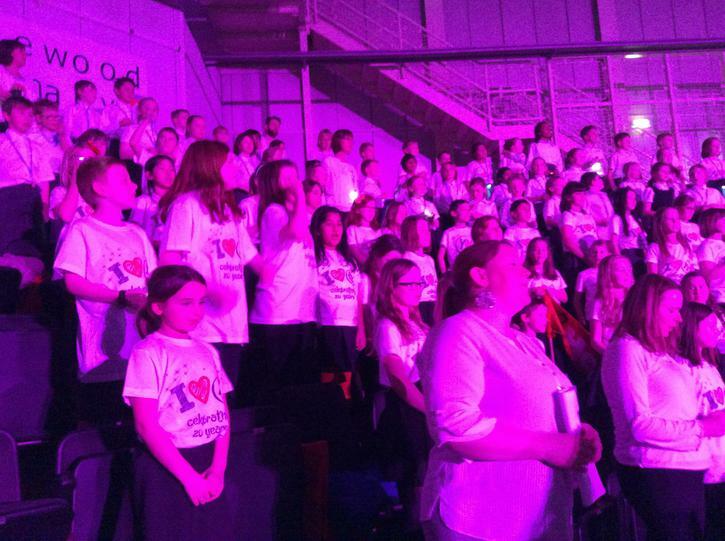 Welcome to all children who have joined Choir this year! 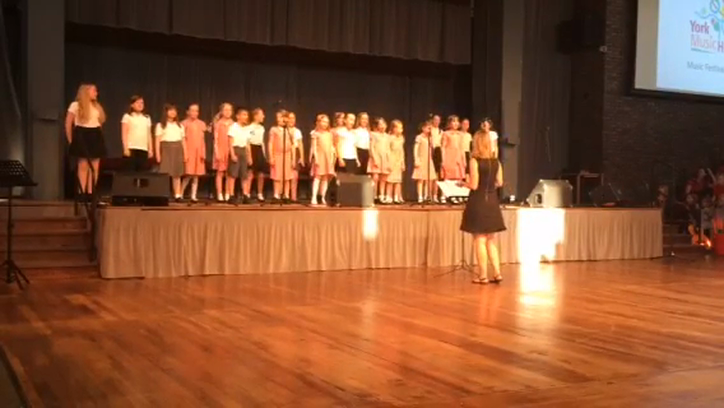 After two rehearsals, the children are sounding fantastic. 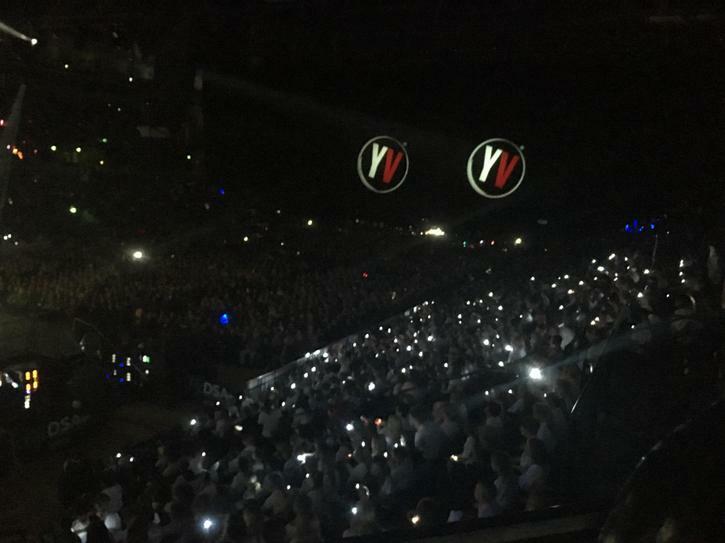 Once again, we have a busy year ahead. 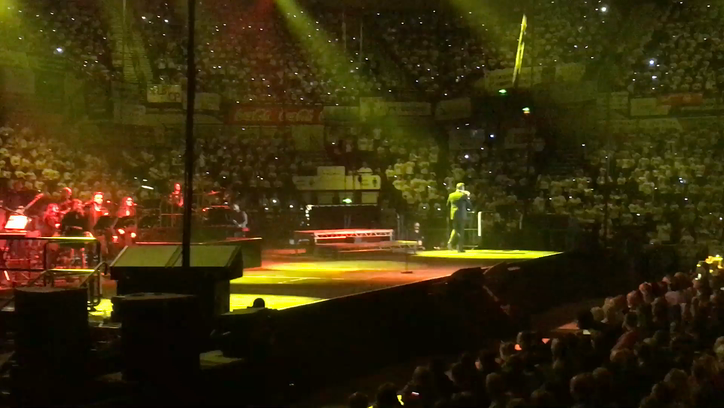 Keep up-to-date with information, pictures and videos on this page and keeeeeeep singing! 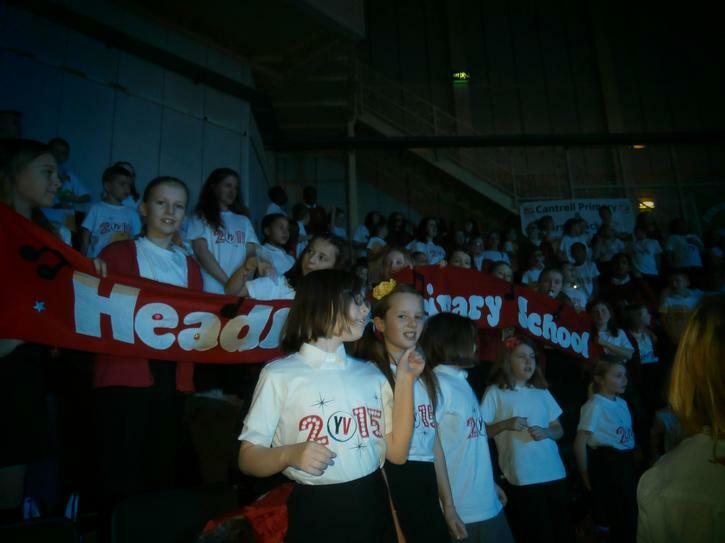 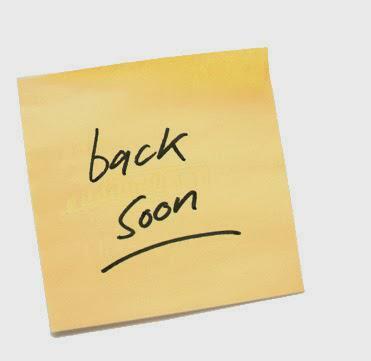 Choir will be having a break until after the Easter holidays. 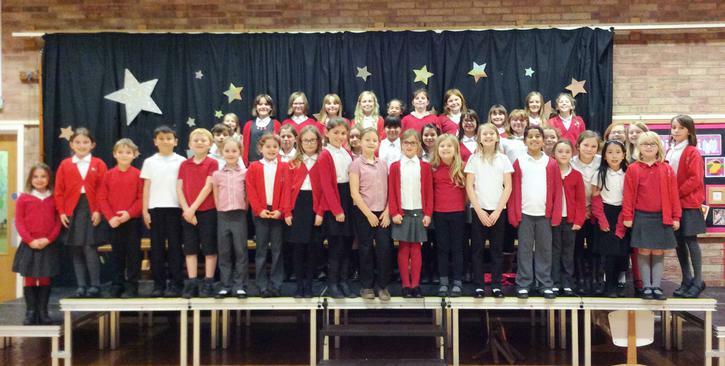 The last Choir rehearsal for this term is Tuesday 19th January and will resume again Tuesday 12th April. 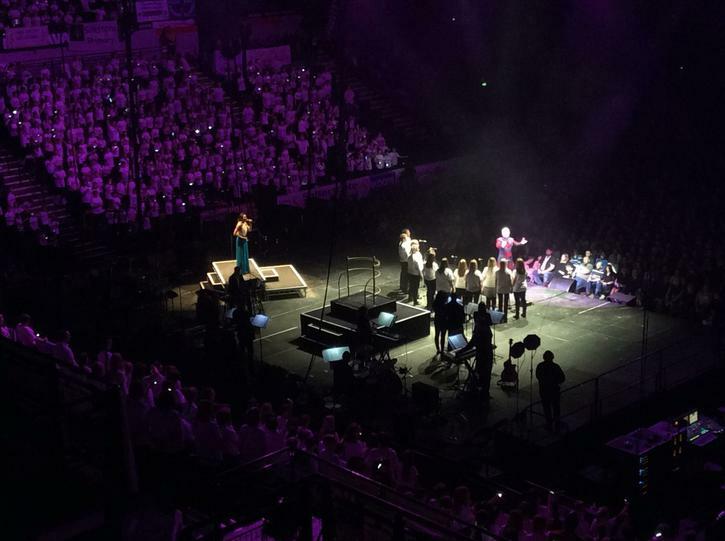 This is Miss Dales performing in the teachers choir at Sheffield Arena! 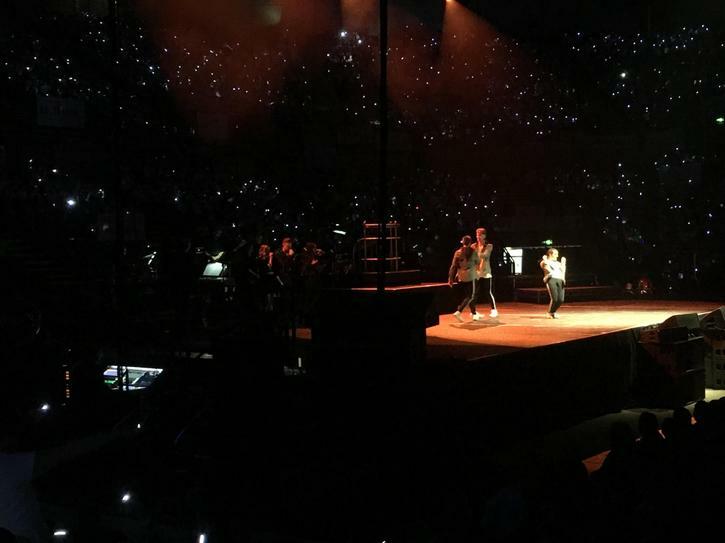 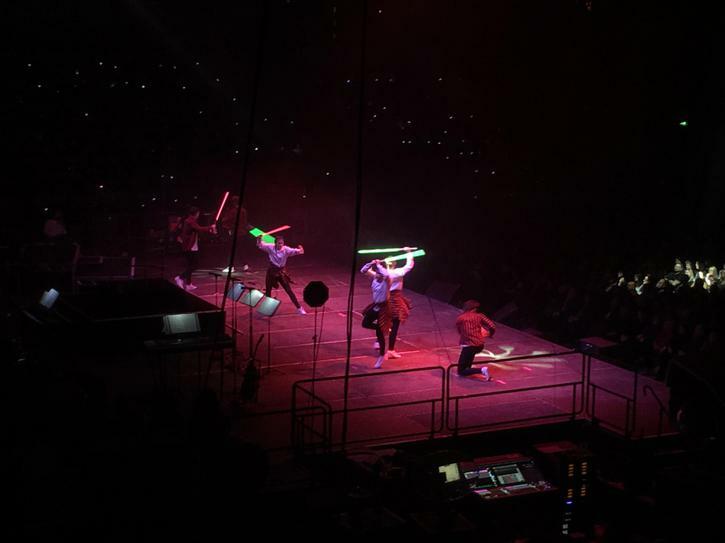 These are some beat boxers performing at the arena! 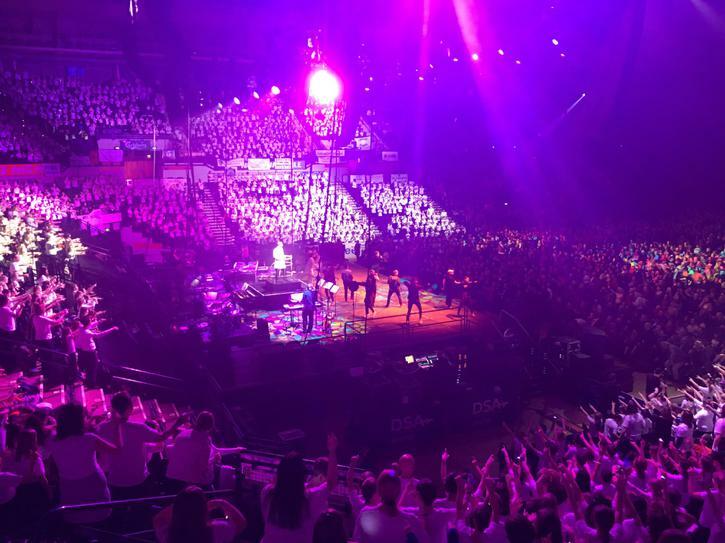 See below for lyrics and backing tracks to all the songs for Young Voices 2016. 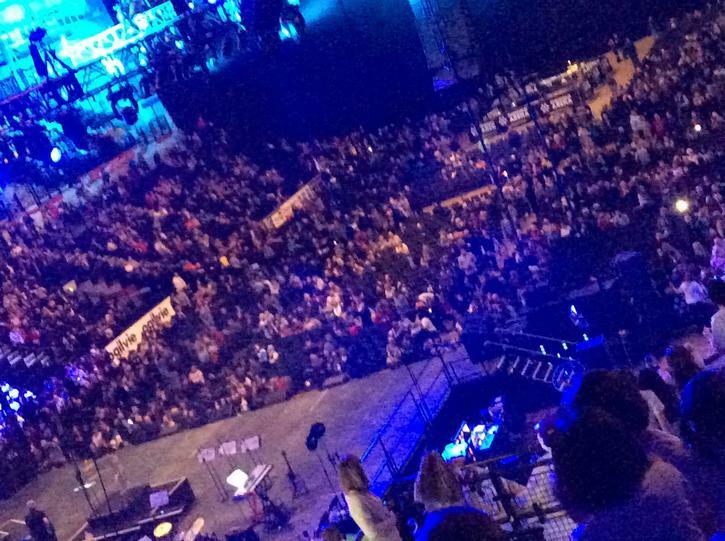 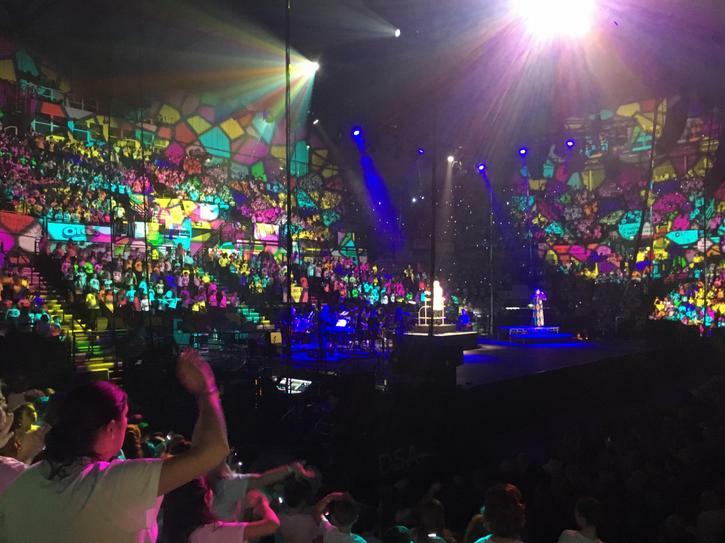 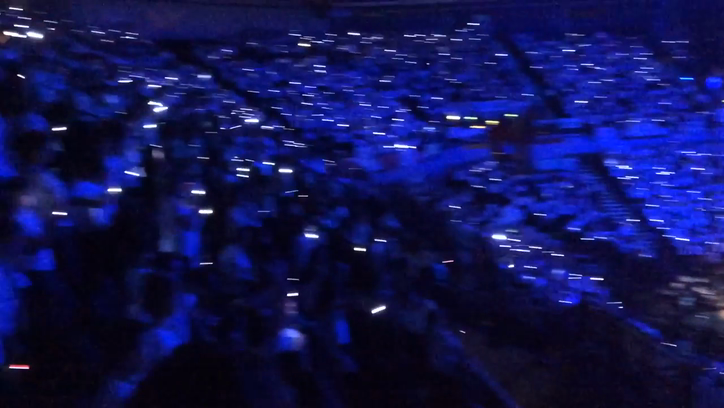 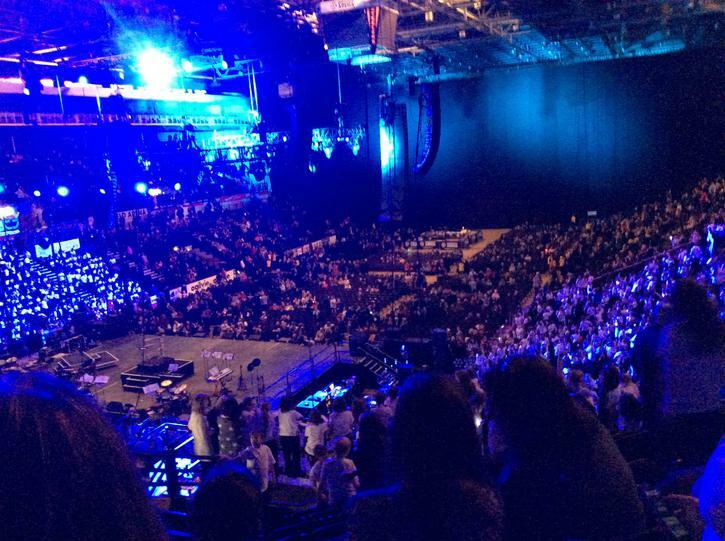 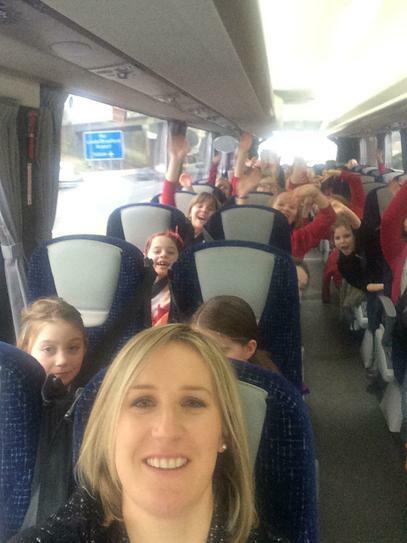 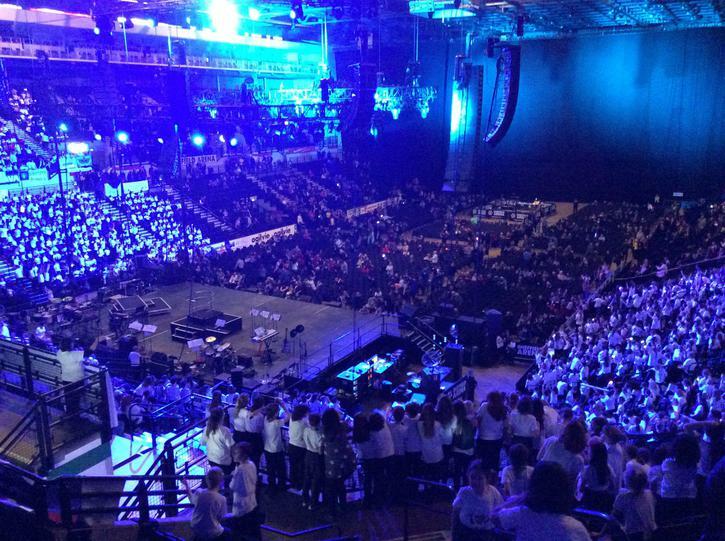 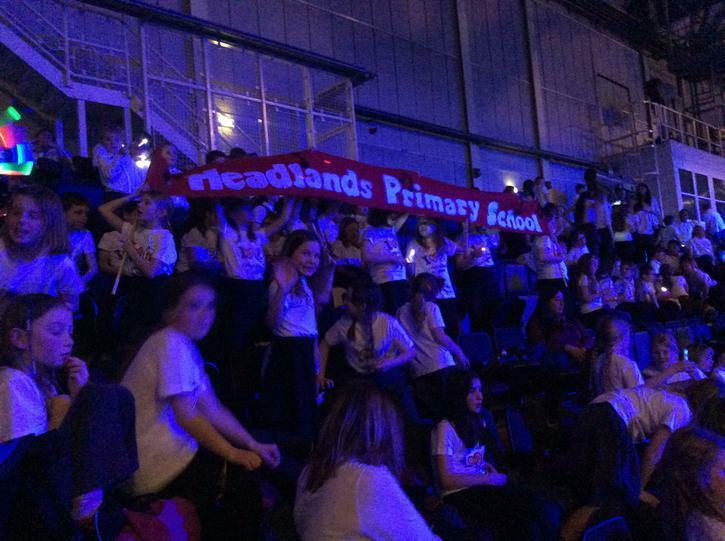 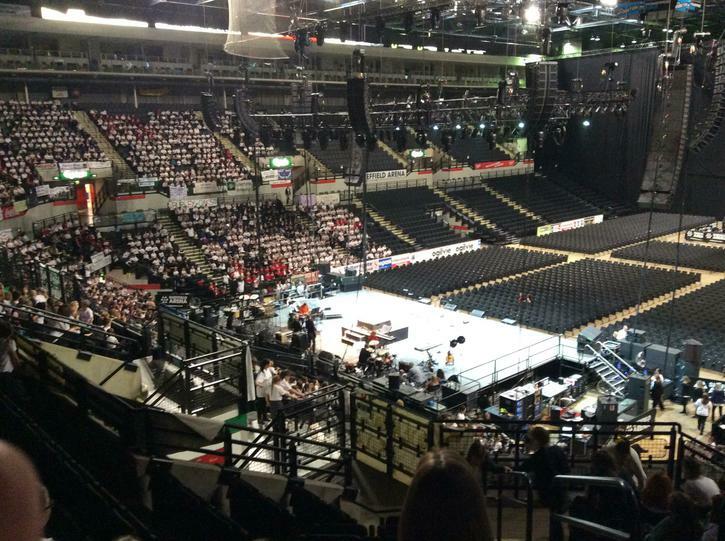 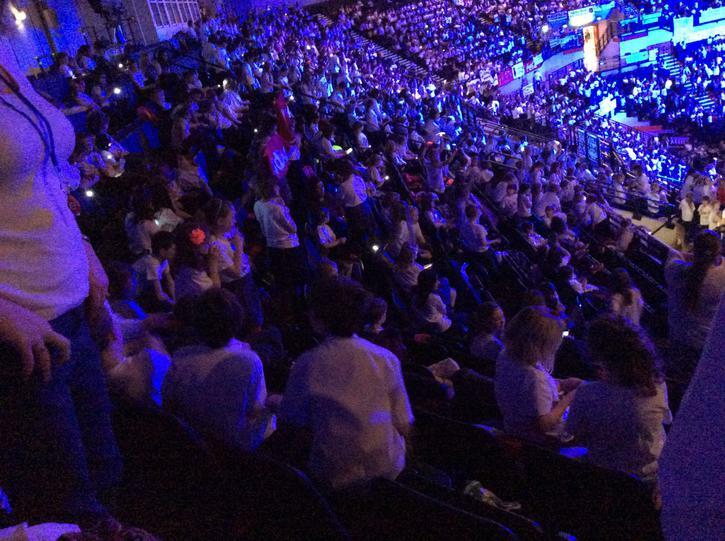 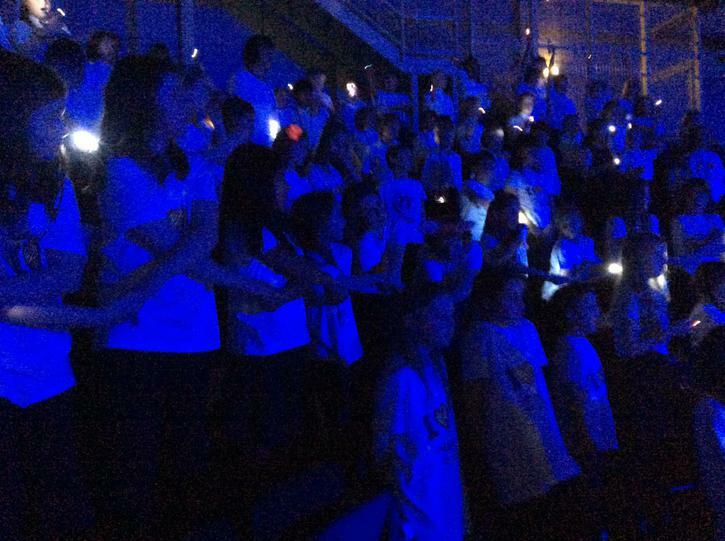 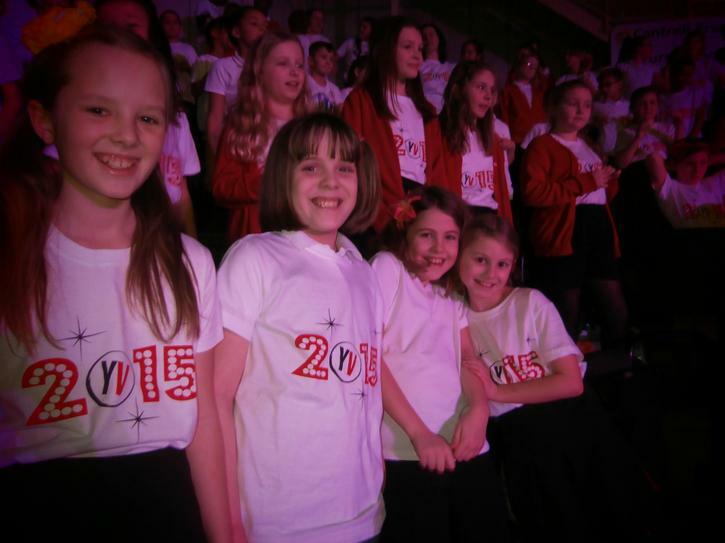 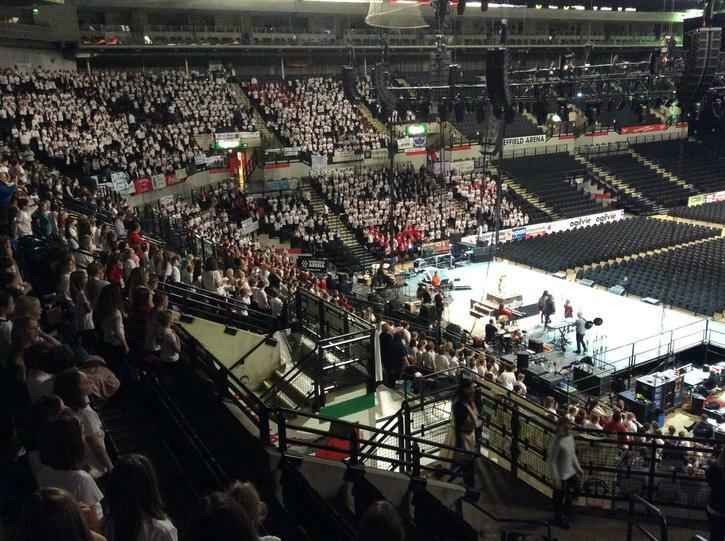 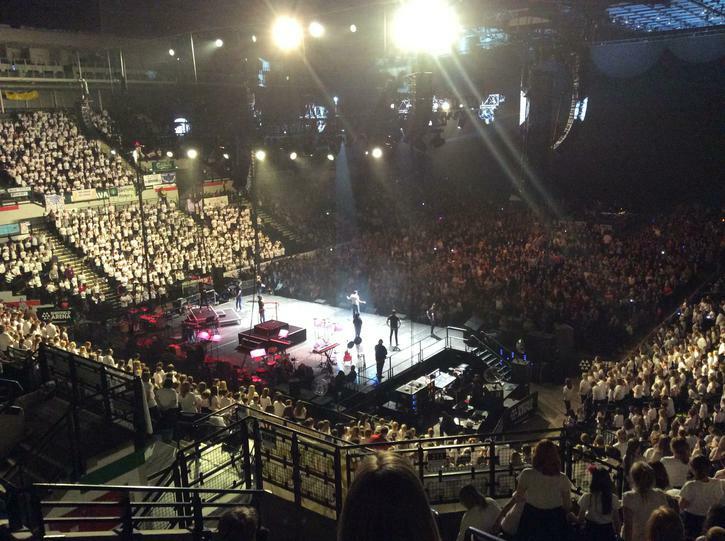 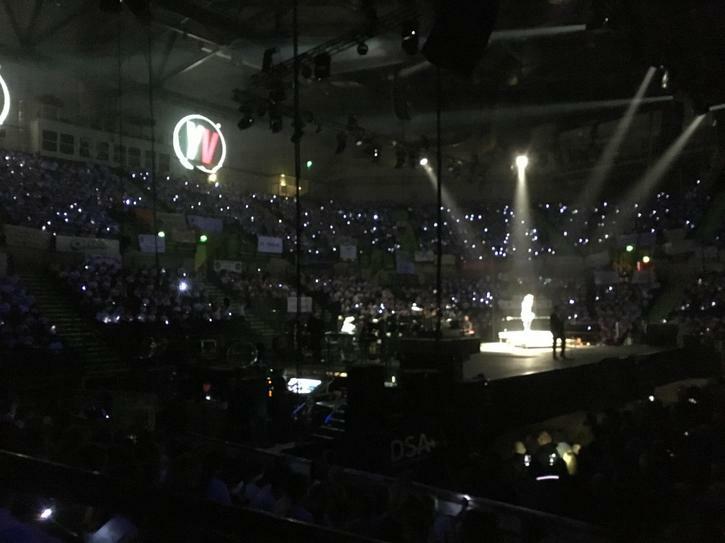 Well done to all the children who attended Young Voices 2015. 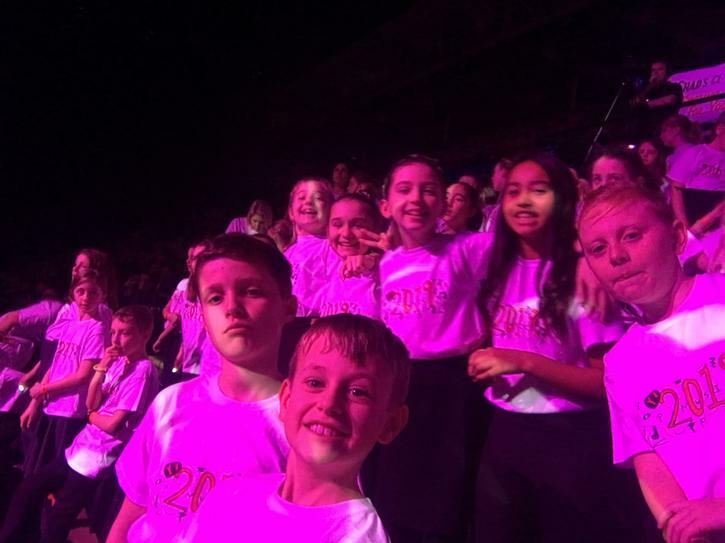 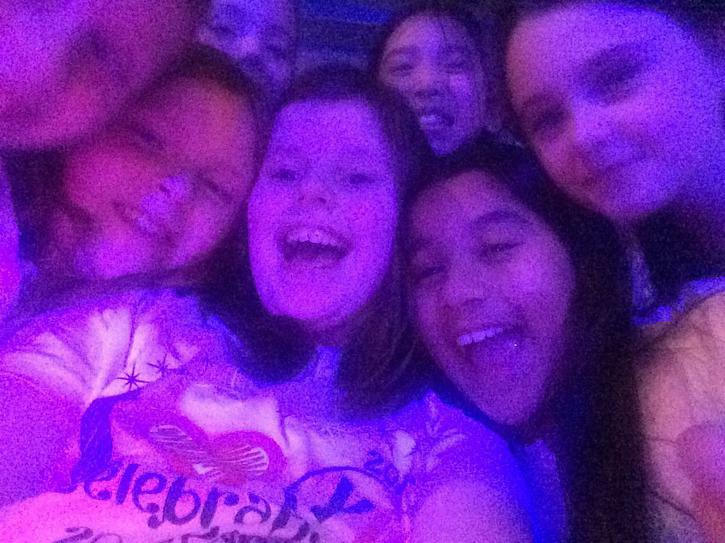 It was a fantastic day/evening and we all had an amazing time singing and dancing! 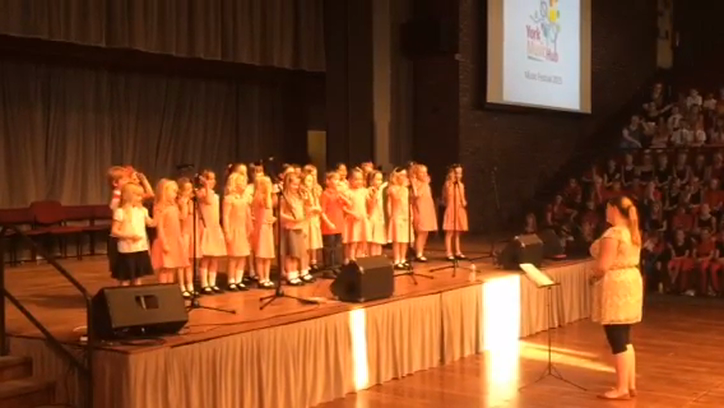 Well done to all the children in Choir for all your hard work and dedication this term. 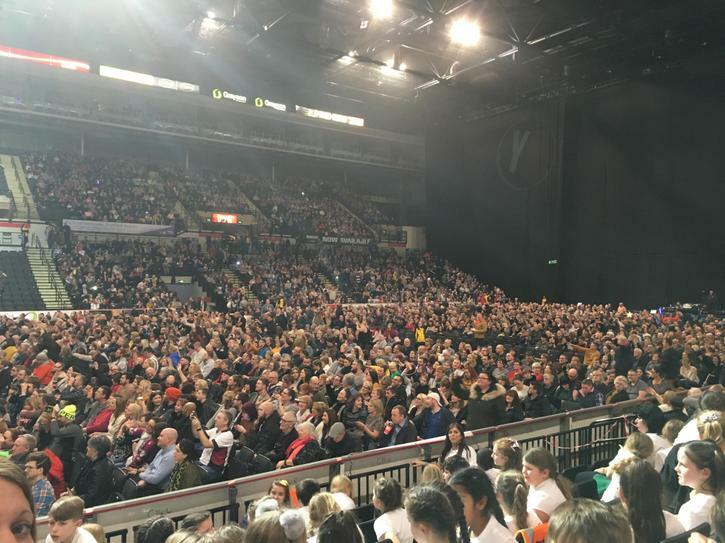 It has certainly been a busy one! 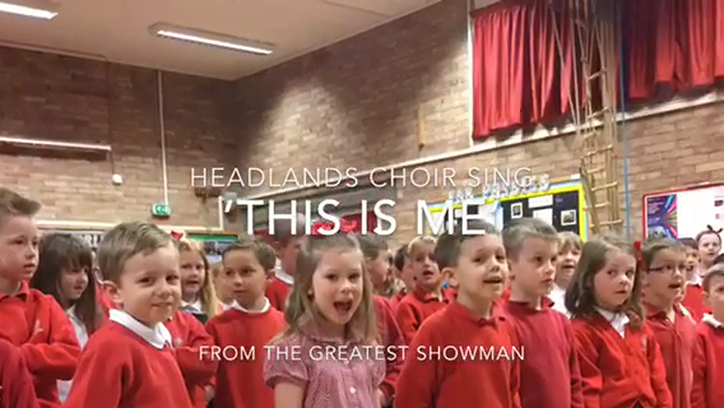 I hope you all have a wonderful Christmas and New Year. 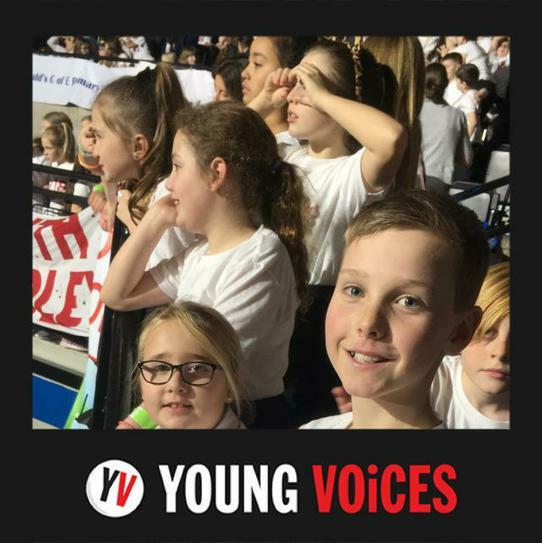 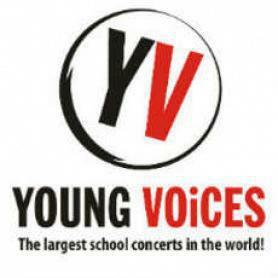 Get ready for Young Voices on Tuesday 20th January!